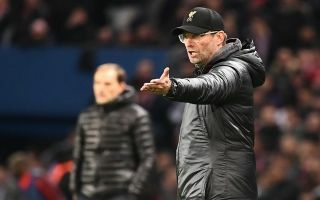 Liverpool looked as though they weren’t at the races during the first-half of action against Burnley at Turf Moor this evening, Klopp has heavily rotated his side. Klopp’s decision to rotate the side left some of Liverpool’s stars seeming out of sync in the first half of action. It was evident that Daniel Sturridge is lacking match sharpness as he failed to make an impact in the first 45 minutes. Centre-back Joel Matip looked as though he couldn’t deal with the physicality of Burnley bruisers Ashley Barnes and Chris Wood. To make matters worse the Reds lost Joe Gomez to injury in only the 23rd minute of the tie. Trent Alexander-Arnold was brought on for Gomez. Liverpool finished the half looking very shaky and they nearly went into the break a goal down but Ashley Barnes volley in the 40th minute was ruled out for offside, Liverpool’s decision to deploy a high-line for defending free-kicks just about worked this time. Klopp thinks this is a pre-season friendly. So much liabilities on é field & this mediocrity will cost us é points tonight if not careful. Just look at how easy Matip gifted a fk which they score from albeit an offside. Burnley is no Sunday league team that can be taken lightly! Klopp has messed this up with the selections dropping 7 is ridiculous, moving Gomez to right back is nuts. Title gone top 4. Season over.